We are reducing C02 emissions by replacing an old beverage delivery var for a brand new one. 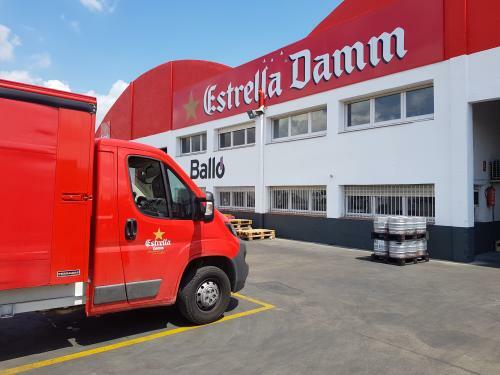 Collective financing of a new and more efficient delivery van, for its fleet of drinks distribution. The company BALLÓ SA is running a substitution plan of all its vehicles for new ones more respectful with the environment. From a previous collective loan from ECrowd!, BALLO SA bought 4 electric Linde forklifts in place of 4 old Nissan diesel forklifts. Apart from reducing emissions, the company improved its working environment because the engine noises were eliminated and the atmosphere was improved in the store. BALLÓ SA is a company based in Figueres (Catalonia, Spain) dedicated to the distribution of drinks, beer and coffee, especially in the northern part of the province of Girona. It was founded in 1892. The 4th generation of the family Balló, with Xavier and Ricard Balló brothers at the head, continue the family business with a very detailed knowledge of their market. The company currently has a fleet of 30 vehicles including trucks, vans, cars and forklifts. 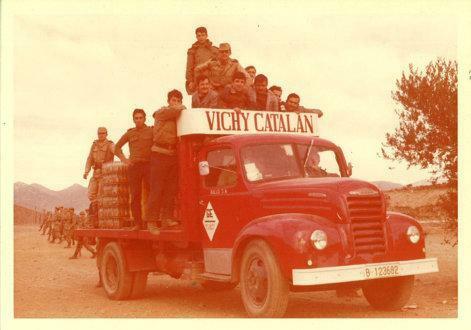 This picture is of one of the first motor vehicles used in the 1960s. BALLÓ SA is a very sensitive to sustainability and environmentally friendly company. It consumes 100% renewable energy and plans to gradually replace all fuel engine vehicles into electric and other new cleaner technologies. Additional information: How to invest with ECrowd! ECrowd! never charges any commission, neither on your investment nor on the interests you receive. The appropriate income tax is deducted from the interests received for spanish residents. The interest rate on your investment can be dependent on the success of the actual project. It is occasionally possible that the actual interest rate differs from the one initially advertised. Please read attentively the information on each project before investing. Diversifying your investments is the optimal strategy to manage your investment portfolio.